When developing mobile friendly websites, you may want to know the video formats for Android phones. According to Android developer website, video formats for android include 3gp, mp4, ts, webm, mkv, etc. 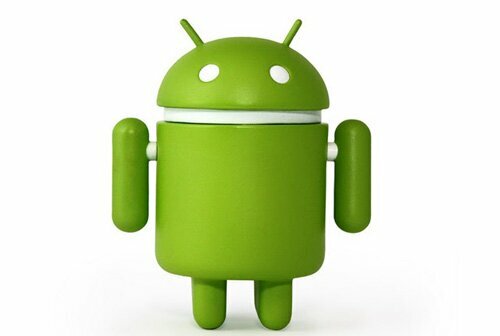 Android users are growing really fast, we can see more and more Android phones and tablets nowadays on the market. Android market share 2012 is much higher than Apple iOS in smartphone market. According to an IDC report, Google's Android surged to a whopping 68% share of the global smartphone market in the third quarter of 2012. That's four times the 17% market share held by Apple. That’s one of the reasons why all website owners should consider the video formats for Android compatible websites. It could be frustrating if you’re trying to make your videos playable on as many devices as possible including Android devices. Firstly because video formats for android actually refer to several different video types and codecs. You will have to make a selection of the ideal video formats for android and probably other devices as well. Secondly, without professional knowledge you may have to struggle with the video encoding and comes out you can go nowhere without a proper video format converter for Android. How to create video formats for Android display? Here we recommend a video format conversion tool to help you get the compatible video formats for Android playback. Download the Video Format for Android Converter here. This HTML5 video converter can convert almost all popular video formats into MP4, WebM and OGG. So you can’t only get the compatible video formats for Android playback, they are also compatible with many other mobile phones such as the Apple iOS devices, like iPhone and iPad.